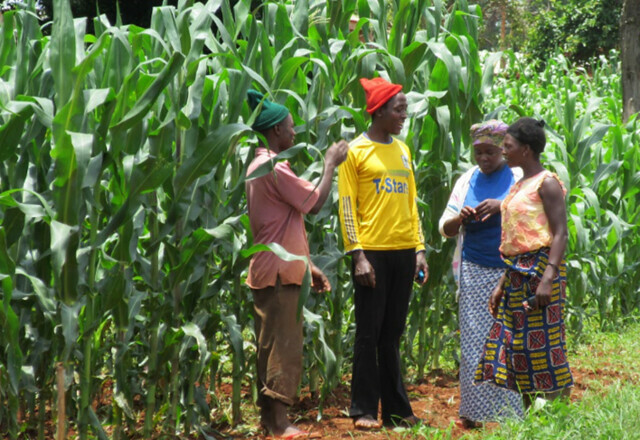 How switching to improved agricultural technologies like hybrid maize varieties and application of bladed fertilizers catalyzed a young female farmer’s dramatic rise from an off-season casual laborer to a champion farmer in rural Tanzania. Some three odd years ago, 22year-old Siza Mkini was at a cross road in her life. She had just dropped out of school the previous year after it was apparent that she could not continue with her education because she could neither afford nor find a relative capable and willing to pay her school fees. Siza had also during that period become an orphan after her father passed on in early 2013. Her younger siblings now depended on her for their food and other daily needs almost entirely. “At that point in time, my life seemed to be unravelling. So I had to do something fast to ensure that we get through the tough times,” explains Siza. “I initially started growing maize and poultry rearing in one corner of our family land. However because this wasn’t bringing in returns fast and often crop failures and disease infection to the poultry; I started working for neighboring families in Kitowo Village as an off season laborer,” she adds. Siza’s challenges continued on and off; until in early 2015 when she got wind of the commencement of Africa RISING – NAFAKA project in Kilolo District. Through her participation in the project since its inception, Siza was trained on various agronomic practices of maize production and introduced to different improved maize varieties – some of which she has adopted. Of the different technologies she was introduced to, two stand out in Siza’s opinion – growing of hybrid maize verities and bladed fertilizer application. The two technologies, in her opinion, have revolutionized her life! 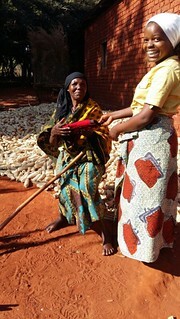 From the 4 acres family land where she would grow maize and harvest a measly 0.2 tons of maize, she now harvests 4 tons! “I never thought that maize production at this scale was possible on our degraded land in Kitowo Village! Thank goodness, I have seen it happening in our family farm after applying the new knowledge and technologies from the Africa RISING – NAFAKA project. My family members look at me as a champion!” exclaims Siza. Siza is now able to afford and provide for her family’s needs and comfortably put food on the table from the income she earns from the sale of her maize harvest. From this income she has also been capable to enroll her daughter into a nursery school and equally pay school fee for her younger siblings. She is equally taking on board bigger family responsibilities and decisions. Her story proves that improved soil management, application of correct agronomic practices (including fertilizer application) and planting improved seed varieties leads as promoted by the Africa RISING-NAFAKA project leads to significant improvement in yields for farmers. 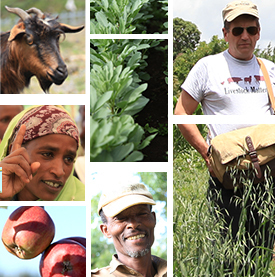 The project aims to provide access to improved agricultural input technologies to male and female farmers in the semi-arid and sub-humid zones of Tanzania. The project is implemented along the rice, maize, and vegetable value chains and works with farmer communities in five regions of Tanzania: Dodoma, Iringa, Manyara, Mbeya, and Morogoro. Tags: africa rising, AfricaRISING, nafaka, USAID. Bookmark the permalink.